When you take a probiotic supplement, you do not want to consume one that combines every strain they can think of into one probiotic pill. 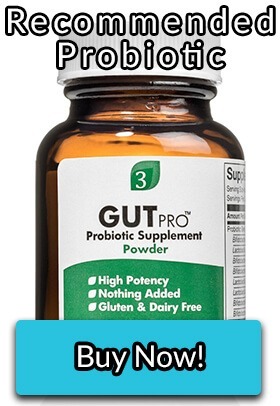 It might be convenient, but most people with digestive issues are going to react negatively to the probiotic. Individual probiotic strains should be treated as different “medications”, they each modulate the immune system and have different properties. 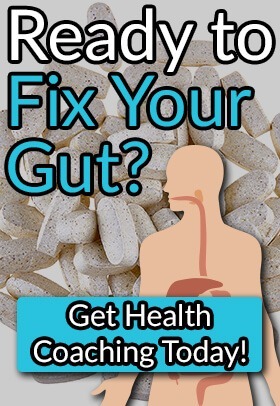 At an alarming rate, I am recommending less and less probiotic supplements. Why am I recommending less probiotic supplements? Because so many people I coach have negative reactions to them. It is better to manipulate the microbiome using other supplements, fiber, diet, and occasionally prebiotics. There are some probiotics that I still recommend that improve people’s digestive health; Biome Defense is not one of them. Taking Biome Defense from Infowars Store is like throwing twenty-three darts (bacterial strains) at a dartboard, blindfolded and hoping a few hit the bullseye to improve your health. The more strains that your probiotic supplement contains, the more likely someone is going to act negatively to the supplement. Bacterial strains in a probiotic supplement can cause worsening histamine intolerance (allergies), Th1/Th2 dominance (inflammation or histamine intolerance), or D-lactate issues (brain fog and anxiety) if you are sensitive to them. When it comes to probiotic supplements, the more is not the merrier. Biome Defense also contains inulin as the primary prebiotic. I do not recommend that you ingest too much inulin when you are having small intestine and colonic dysbiosis and digestive issues. Inulin is one of the worst prebiotics for people with digestive issues, it produces excess fermentation (bloating), and feeds many of the opportunistic strains including Candida, Klebsiella, and Salmonella. Klebsiella ferments inulin so it would not be good for people with alkalizing spondylitis and rheumatoid arthritis to ingest it. Ingestion of inulin, in people with these conditions would have increased inflammation and pain. Finally, it adds HSO bacterial strains to the product, and we all know Fix Your Gut’s controversial negative stance on them. The HSO strains in Biome Defense include Bacillus subtilis, Bacillus coagulans, and Bacillus clausii. No supplement company is going to produce every supplement that I would recommend, but just because I do not recommend one supplement from a company does not mean the rest are worthless. 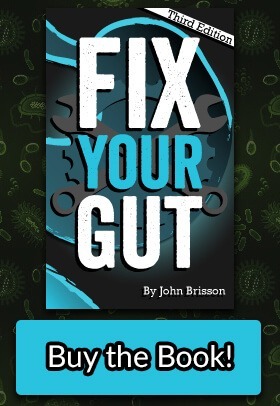 I do not recommend Biome Defense sadly; it is too much of a wildcard when it comes to your gut health. Biome defense is said to be the only prebiotic NOT spraying their flora with stabilizers which are carcinogenic according to dr. Group on today’s 3rd hour of infowars. This is the only pro and pre biotic that works for me. I highly recommend it… sadly because YOU don’t like it I can’t get it. Who made you an expert besides yourself? You don’t know what you are talking about… self taught fool. 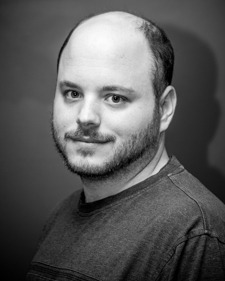 Hello John- just discovered your site. The info is great but to someone new like me it can be confusing. For example I’ve heard so many great things about bravo yogurt but like this infowars product there are many strains of probiotics in it. I know you’re busy and may not be able to respond but perhaps you may blog about bravo yogurt in the future? I know you have a post on yogurt but this doesn’t seem to be as insufficient as most yogurts. I am a fan of GcMAF yogurt, I will write about it in the future. How do I make GcMAF? How does one replace particular gut bacteria strains that may have been completely eradicated due to prolonged antibiotic use? My stool test revealed undetectable levels of certain (non-lactic acid) strains. Thanks in advance. I am more confused than ever about the appropriate probiotic to take. I have TH2 dominance and under active TH1 chronic fatigue syndrome/leaky gut and would like to know if you could recommend a probiotic for people who have this kind of immune imbalance? It would probably be better for you to try GOS or arabinogalactan to rebuild your flora instead of using a probiotic. what do you recommend for someone with GERD and sibo ..as i have so much gas and cant put on any weight..